Overcome your inner voice that says you can't draw. Use this right-brain-oriented workbook to can unearth your buried drawing capabilties and begin to create the realistic drawings you never believed possible. 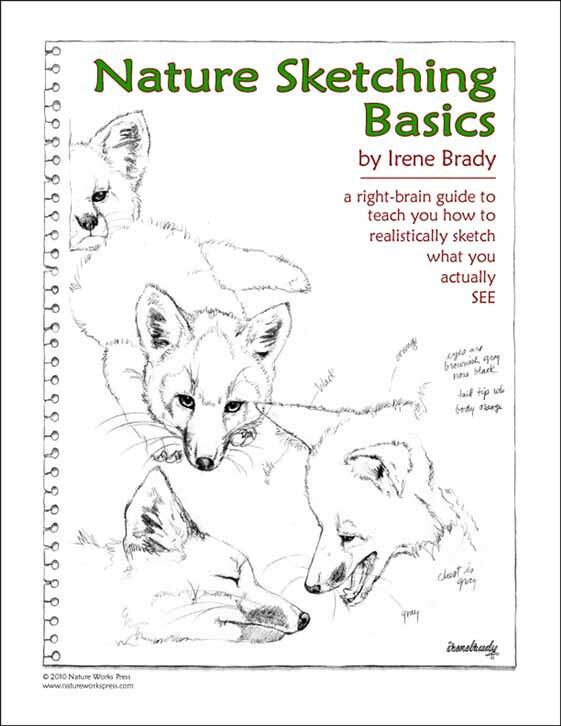 This is also a good warm-up workbook for those who can already draw but haven't done any art recently, artists who paint but need to brush up on their drawing basics, and as an introduction to right-brain techniques if you want to try other workbooks by Irene Brady. You'll learn how to see your subject in ways that let you draw it true-to-life, and you'll learn how to use tools, tips and techniques to let you relax and enjoy the creative process as you increase your drawing skills. 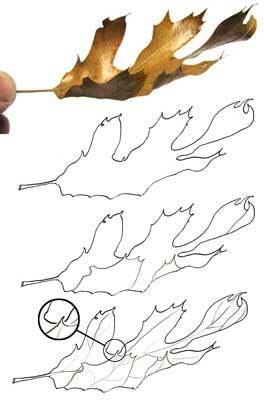 Actual projects will let you try out your new-found skills with step-by-step tutorials as you draw a leaf, a shell, a fir cone, and finally, a turkey feather. You may have some of these items on hand, but in case you don't, large, clear photographs have been included for you to work from. 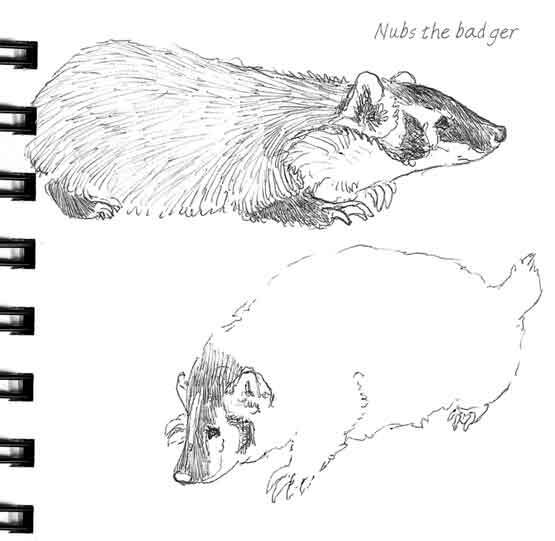 This workbook will guide you through techniques you can use successfully to sketch small natural items and learn how to get your pencil to do what you ask of it, including basic shading and textures, and ways to shade to make your subject look 3-dimensional. umbrella, folding chair/cushion, water bottle. save to your computer, and print out immediately on 8½ x 11 paper. It is priced at $9.95. COPYRIGHTED©2010, by Nature Works Press. All rights reserved worldwide. may be used without written permission from the artist.